People automatically assume that just because I love Hello Kitty, anything that comes slapped with her mug means I’ll automatically love it. Not true. And only because there are just so many collaborations out there, I get really fussy, especially when I have to fork out good money for it. Besides the collectible aspect, it should also be adorable without being overly sweet, and possibly even functional (says the person who owns Hello Kitty figurines that do nothing more than ‘act cute’ on the shelf). So what do I think about the Casio’s new watches that are now available in Singapore? 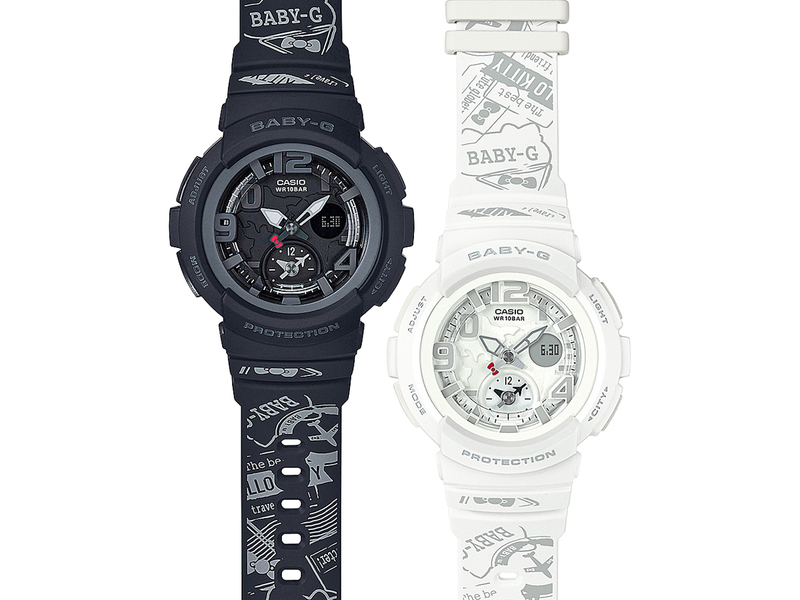 Well, for one, they are functional, with all the usual features you’d expect from a typical Baby-G model. It is also quite the collectible, since it is a limited release. So is it adorable without being overly sweet? Yes, I like the ribbon on the tip of the minute hand, a nice contrast to the otherwise black or white watch faces. What I’m not fond of? The randomly placed passport stamps on the watch’s wrist strap, which while explains the story behind these pieces (you know, Hello Kitty being the globe-trotter that she is), feels a little too kiddy for me. Still, there will be many others who will fall head over heels for these pieces, and if you’re one of them, head to G-FACTORY stores in MBS and ION Orchard where they are priced at SGD249 each.